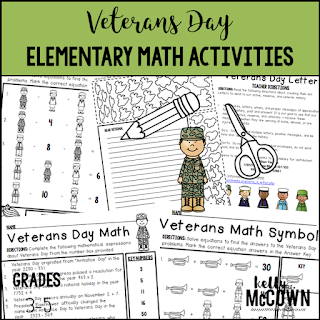 Get ready to celebrate Veterans Day this year with engaging Math activities for your students to make connections to Veterans Day and Math! 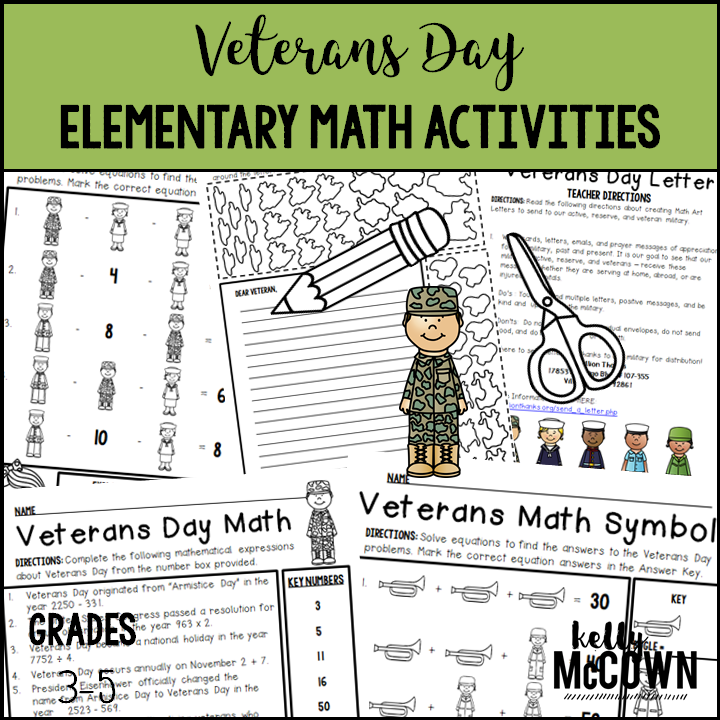 This Veterans Day Elementary Math Activities NO PREP packet that will keep your third, fourth, and fifth graders engaged! This packet is just plain fun. 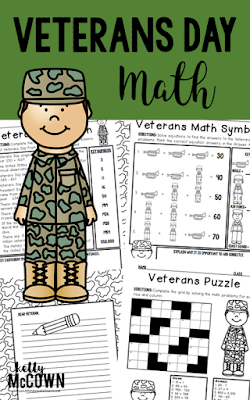 Not only is it PACKED with grade level common core math problems, it also gives students fun coloring, puzzles, and problem solving. Use this packet for bellwork, classwork, extra credit, fast finishers, or homework. 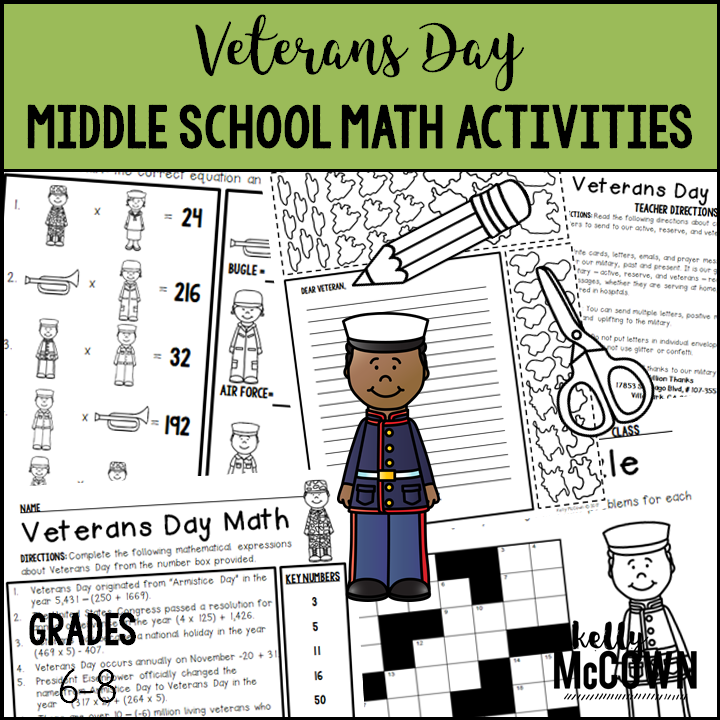 *Packed with 6th, 7th, & 8th grade common core math problems for review and practice. 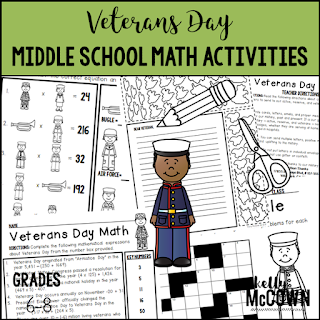 I hope these activities are great additions to your classroom Veterans Day celebrations. Keeping students engaged during special holidays create memories not only for the students, but also help to develop relationships between teachers and students.